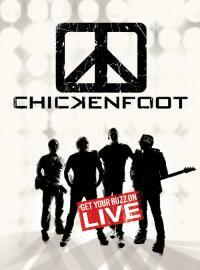 The new music video for "Big Foot", the first single off of Chickenfoot III is out! Check it out at Facebook or YouTube and a preview is available in the Chickenfoot widget and podcast. You can also buy it for yours to keep and watch anytime anywhere at the iTunes store. The 'foot has been active finishing up the new album and you can check out some photos that we'll be sharing over on our facebook page. View the photos here. We're all in a state of shock and sadness by the news of Carter's passing. The band and all of us in the Chickenfoot camp will miss his unique & brilliant guidance. Click here for Carter's obituary. "Get Your Buzz On Live" to air on Palladia HD TV in April/May! Sammy's new book - "RED: My Uncensored Life In Rock" out now! We're happy to report that things are moving swiftly over at the Foot Locker as the guys continue working on the new album! 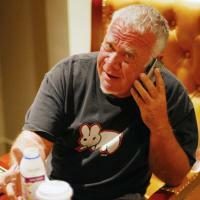 Here's a few recent press pieces that have Sammy and Joe talking about the latest. 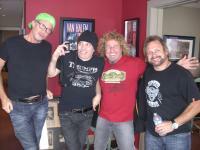 Yes, as you may have heard, Chad, Joe, Mikey and Sammy are back in the studio this week working through material for the second Chickenfoot album. It's only been a few days, but things are going great and you can count on more updates in the future! A special holiday treat - "Foxy Lady" live! This was a great year and we were just feeling thankful for all of you fans and thought we'd share this as a holiday gift. It's an outtake from the Live In Cabo webcast and is a really smoking version of this tune! Have a great holiday season and we'll see you from the studio in the 2011! The guys took a break from recent recording sessions to talk a little about an obscure, yet effective, technique they are working with. Come learn a little about the A.M.P.F. technology and if you are up for it, share your own videos on how you can apply the A.M.P.F. system in your life!